During the month of September, the Eparchy of Edmonton conducts its annual Vocations and Seminary Collection. “It takes a whole village to raise a child.” It likewise takes the support of the whole Church to form a deacon, priest, religious, monastic and lay member for ministry in the Church. It also takes our support to offer on-going education and formation for those already in sacred orders or involved in lay ministry. The annual Synod of Bishops of the Ukrainian Catholic Church will take place from September 3-12 in Lviv (Briukhovychi); and the annual plenary meeting of the Canadian Conference of Catholic Bishops from September 25-29 in Cornwall, Ontario. Please pray for our bishops that the Holy Spirit may grant them wisdom and guide and bless their episcopal pastoral ministry, at service to the Church and for God’s greater glory. The Office for Evangelization and Catechesis, Canadian Conference of Catholic Bishops, has prepared resources for celebrating Catechetical Sunday, October 1. Pope Francis, upon the recommendation of the Synod of Bishops of the Ukrainian Catholic Church, appointed Very Rev. 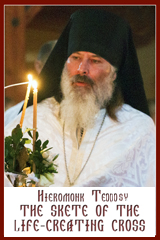 Andriy Rabiy as Auxiliary Bishop of the Archeparchy of Philadelphia. Very Rev. Andriy Rabiy studied for the priesthood at Saint Josaphat Seminary, Washington, receiving his philosophical and theological studies at Catholic University of America and the Dominican House of Studies. Following priest ordination, he served a number of parish assignments, prior to returning to Catholic University of America for advanced studies in canon law. Bishop-elect currently serves as Vicar General and Vice-Chancellor, in addition to his ministry at his parishes. “Investing in Our Future Today” – A Youth Ministry Initiative. 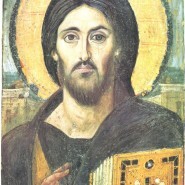 In 2012, The Eparchy of Edmonton embarked upon an ambitious 25 Year Pastoral Plan of spiritual renewal within the Ukrainian Catholic Church in Alberta: “Evangelization: A New Springtime – Encountering the Person of Christ; A Call to Action for Parish Renewal.” In December 2012, by way of implementing our Pastoral Plan, and encouraged by Pope Francis who invites us to invest in our youth, Bishop David was pleased to announce that our newly established Evangelization Fund will invest $100,000 in youth and young family initiatives across the Eparchy of Edmonton each year for the next 10 years, totaling $1,000,000. Bishop David is pleased to share with you some of the results of the fruits of our labour over these past three years 2015-2017 in our report Eparchial Evangelization Fund for Programming for Youth and Young Families: Investing in our future today. You are invited to read the report, and share it with your Parish Pastoral Council as well as your parishioners, to learn how the Eparchy of Edmonton has been helping parishes in their role of evangelization in implementing our 25 Year Pastoral Plan, in particular, in the areas of: youth ministers and training, summer camps and day camps, catechesis and programming, and furnishings and materials. Our job is not yet done. Our youth and young family initiatives program will continue for another seven years. Bishop David invites our parishes to be creative, and courageous, in coming up with initiatives that will help our youth and young families in their faith journey as they Encounter the Person of Christ. Application forms for 2018 are now available. Together we can make a difference in the faith of our youth and young families. Investing in Our Future Today! New Clergy Pastoral Assignments will take effect August 1, 2018 for a period of 5 years. One of the most important responsibilities of an eparchial bishop is to appoint a presbyter as a pastor to whom the care of souls in a given parish is committed as to its own shepherd. In order to assist Bishop David in this formidable task, an Ad hoc Clergy Personnel Committee has been established with the mandate to present for consideration a proposal of Clergy Pastoral Assignments. The members of the Committee are: Rev. Rendy Yackimec, Chair, Right Rev. William Hupalo, and Rev. Julian Bilyj. The clergy are invited – after prayerful reflection, and having considered their own personal gifts and talents, as well as the needs of the Eparchy of Edmonton – to indicate by October 1, 2017 where they wish to be considered for appointment (including their current assignments), where they will be challenged in their ministry. At the same time, the faithful of the Eparchy of Edmonton are invited to make a positive contribution in the process of naming pastors by sending their written comments to the Ad hoc Clergy Personnel Committee at chancery@edmontoneparchy.com by October 1. While the right of appointing pastors belongs solely to the eparchial bishop, who freely appoints them, input from the laity is greatly valued. Rev. Gregory Faryna as Pastor of Saint Stephen the Protomartyr Parish, Calgary. Sr Luiza Tsiupa, 4th General Counsellor (Brazil).